Sherif Ramzy, Egyptian actor, born January 1, 1981 in Egypt. Full report on the life story of Sharif Ramzi, biographical information from Wikipedia and the latest news. 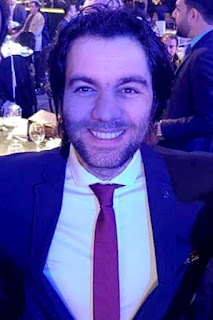 Sherif Ramzi was born on January 1, 1981 in Egypt. He is the son of producer Mohamed Hassan Ramzi. He is the grandson of artist Salah Zulfikar. His aunt is the actress Huda Ramzi. Studied art at the University of Helloun, entered the field of art in 2001 by the producer Esaad Younes in his first films secrets girls, in the role of a young teenager, succeeded in this film and then embarked in the world of cinema, serials, and sitcom. He was married to Minna, the daughter of the artist Hussein Fahmi and artist Mervat Amin. Their marriage continued for three years and they were separated without being married. On May 1, 2015, his marriage was announced by Egyptian actress Reham Ayman.